Eight (8) fellowships will be awarded. The fellows will be divided into 2 groups. 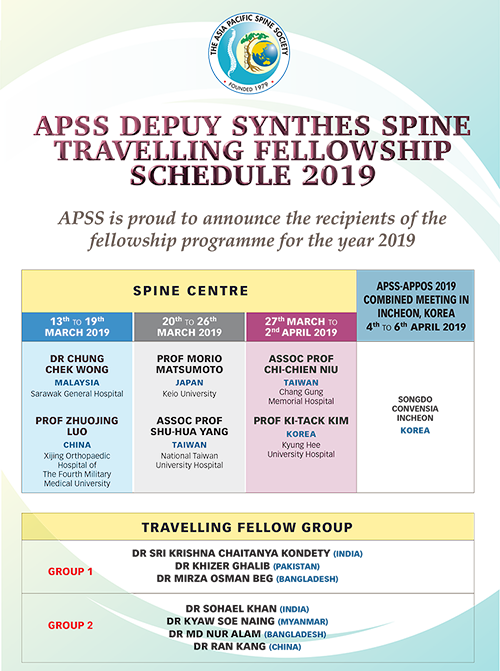 Each group will visit spine centres of excellence in 3 countries in the Asia Pacific Region. The duration of the Fellowship will be 3 weeks.